Did you know that dirt is good for the microbiome. Both ours and our dogs. For us humans dirt contains a microbe called Mycobacterium vaccae which may stimulate the production of serotonin, which is critical to our feelings of happiness and well being. 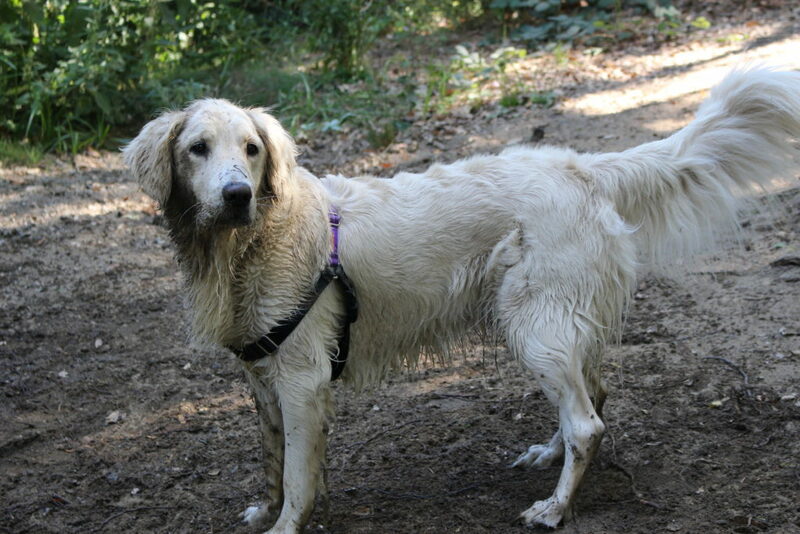 So, how does dirt benefit our dogs. 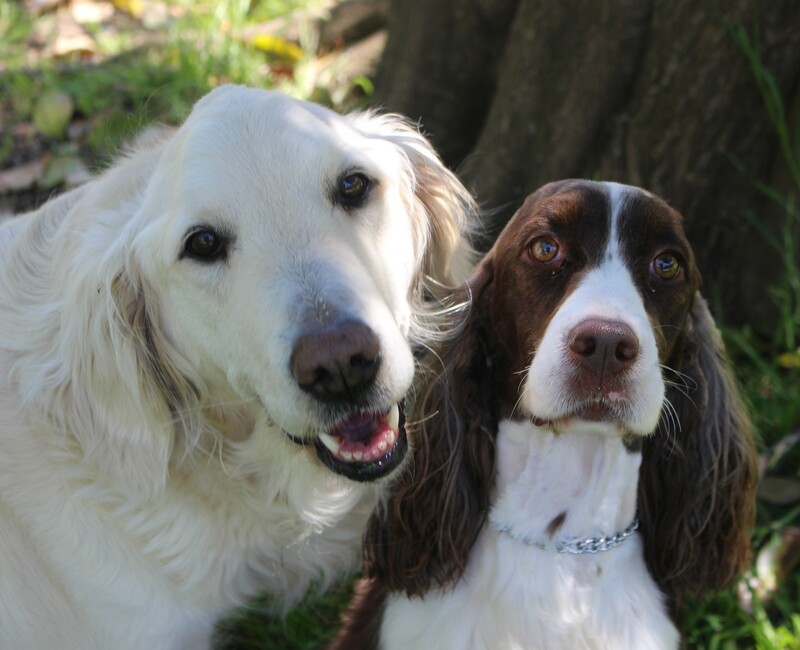 Soil based organisms, or SBO’s for short, are so helpful for the health of our dogs microbiome. SBO’s are spore based and able to with stand the highly acidic environment of the dog’s stomach. How do dogs get these organisms you may ask? Playing and rolling in the dirt and eating the grass. In eating grass, they are also eating the dirt with the SBO’s attached. In this wonderful article by Dr. Jeannie Thomason of “The Whole Dog” she explains the benefit of SBO’s. My advice, let your dog play in the dirt and let him eat the dirt. It’s healthy for him and his microbiome. Growth and Exercise in Puppies. We all know that exercise is a good thing for us and for our dogs. In one of my previous posts, I talked about being careful with puppies. Their growth plates take anywhere from 6-20 months to finish growing and “close” depending on the size and breed of the dog. During this time of growth, and between 3-6 months, rapid growth, growth plates can be permantly damaged from over exercise. We see this in bowed legs caused by one bone growing shorter than the other. This great article explains in more detail about exercise and your puppy. More than 100 years ago Natural Medicine suffered a nearly fatal blow with the well planned, systematic destruction of modalities such as herbs, homeopathy, and chiropractic medicines. It’s a sordid tale of greed and self serving. Rockefeller tried to completely destroy homeopathy all the while he was under the care of a homeopathic Dr.
Give your dog a bone. It is a very old saying, but so important. Did you know that giving a dog a raw marrow bone, or really anything they can spend a lot of time gnawing on, is extremely beneficial for them. Not only does it keep their teeth, gums and jaws healthy, it keeps their brains healthy too. Biting and carrying toys is also beneficial. So many dogs are put down every year for behavioral issues. Do your dog, and yourself, a favor and give your dog a bone. One of the laws of Nature is exercise. Not too much and not too little. 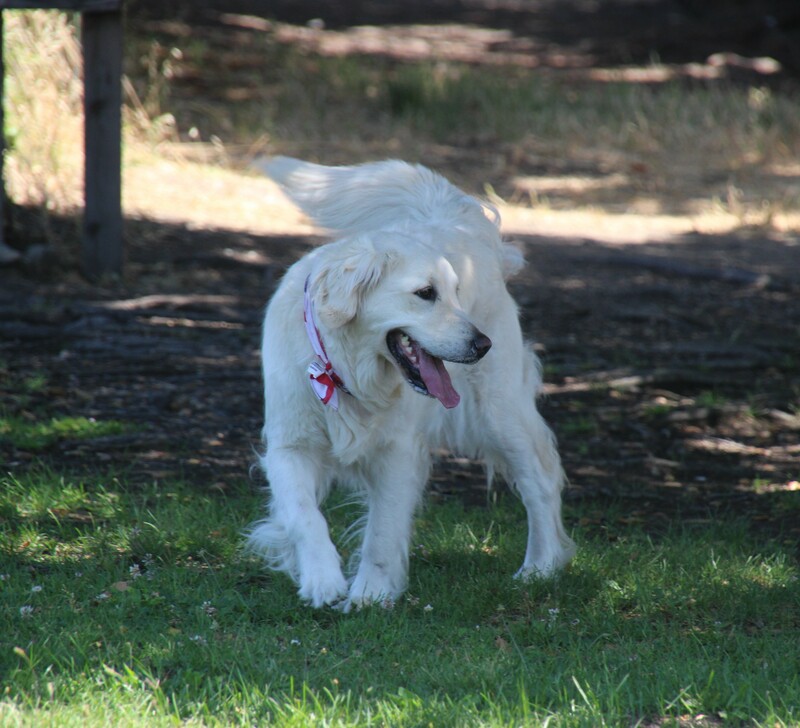 In the case of our dogs, they need daily exercise such as running in the forest if you are lucky enough to live near one. For my dogs and me, we have one across the street from us. And, it has a creek in it. Dottie loves swimming in it. 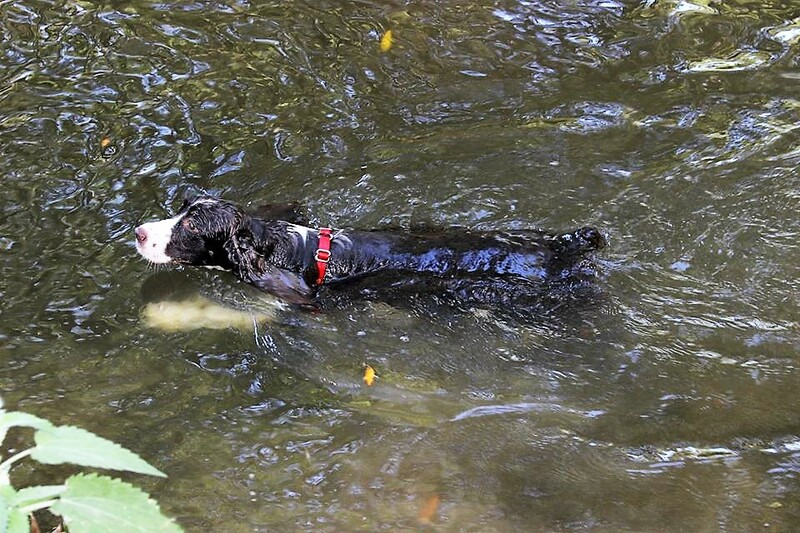 Swimming is an excellent form of exercise for your dog. It does not put any stress on joints and it is used for recovery from injuries. There are also many sports that dogs can get involved in. Such as agility, rally, barn hunting, tracking and many more. As with anything, you don’t want too much of a good thing. So watch your dog for signs that he needs to take a break. We don’t want any injuries. With puppies, especially large breeds, be careful. Growth plates don’t close on these dogs until 16-18 months of age. Also keep in mind that puppies need to sleep a good portion of the day. I always advise people with puppies to play gently with them. Don’t allow them to jump off of high surfaces such as beds or couches. Do encourage them to take walks beside you with a toy in their mouths. Have fun with your dogs but keep it in that sweet Goldilocks zone. Not too much and not too little. I am so happy that you have joined me on this journey I have begun. My name is Joy Eriksen and I am a Certified Small Animal Naturopath. My passion is helping people with their companion animals. Keeping them healthy and vibrant for a long and happy life. I thought in this first post, I would talk a little about who I am. I have been around animals all my life. I was born in rural Pennsylvania and was exposed to many animals, including farm animals. But for me, it has always been dogs. When I was nineteen, I trained my first dog in obedience. “Gypsy” was a natural at it. Sadly I lost her to a spinal injury when she was only four years old. Five years later I trained my first English Springer Spaniel, “Trixie”, for AKC obedience competition. I put a UD title on her and she had two High In Trial wins. 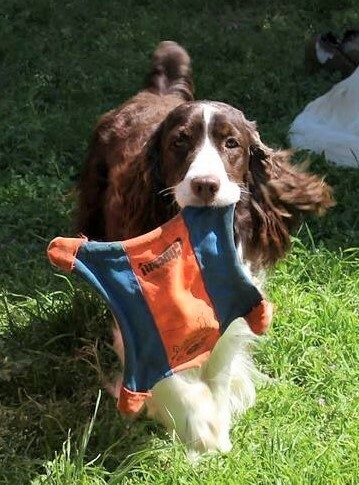 The summer she was four years old, she was ranked number 4 in the country in obedience for Springer Spaniels. A few years later I trained and showed my first Golden Retriever, “Rontu”, putting a CD on him. It was at this time that I became a State Humane Officer and I went to work for my Local Humane Society. About a year later I started working for one of the most progressive Humane Societies in my state of California. I worked there as one of their Animal Control Officers for several years. Then In 2005 I was diagnosed with an auto immune disease and my life’s journey took an abrupt turn. My doctor treated me with diet and supplements. I dove into nutrition and health and by 2008 I was declared to be in remission. I was hooked, I studied all I could on nutrition. I joined the Weston A Price Foundation and attended several of their conferences. 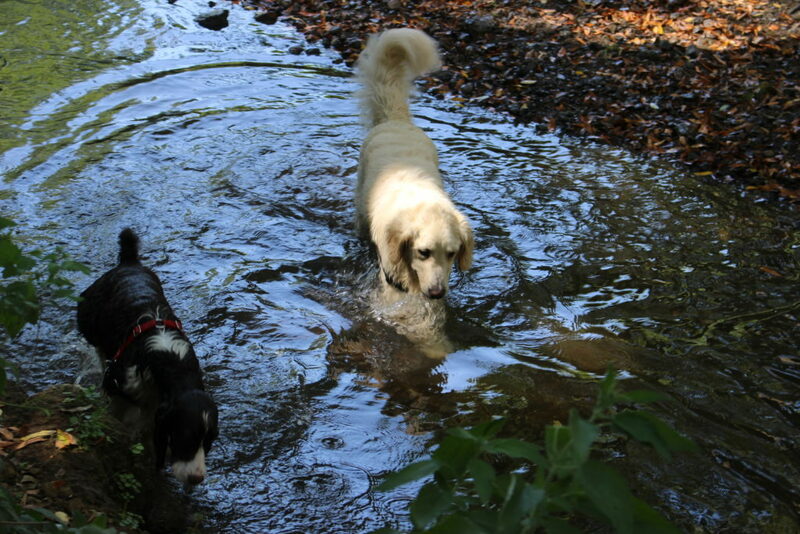 However, it took until 2011 and the death from cancer of my Golden, “Josephine” , to connect the dots for my dogs. A friend told me about raw feeding. I was skeptical , no, I was terrified, at first. 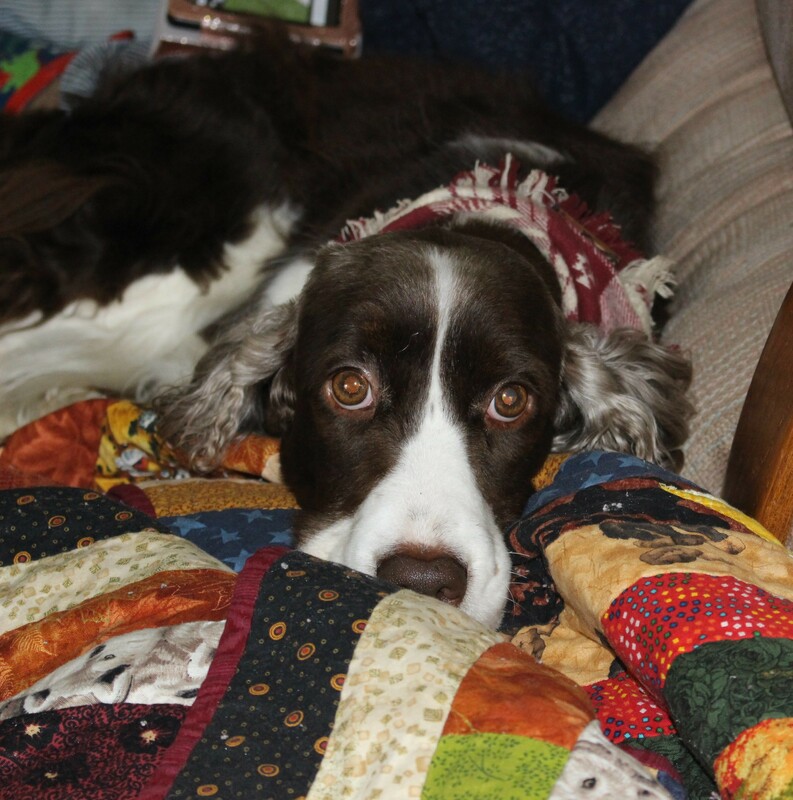 At the time I also had an eight year old English Springer Spaniel who was a seizure dog and on high doses of two medications. I started feeding him raw and saw an immediate improvement. His seizures stopped and with the help of my vet, I was able to drop his meds to about 1/8 of his original doses. He lived another three years with no seizures. Unfortunately, the high doses of meds damaged his heart and it failed him at 11 years of age. I dove into raw feeding and health for my animals. I learned in the trenches how to feed this “new” way. Eight months after losing Josephine, I brought home a ten week Golden Puppy named “Harriet”. I started her on raw her first meal home. 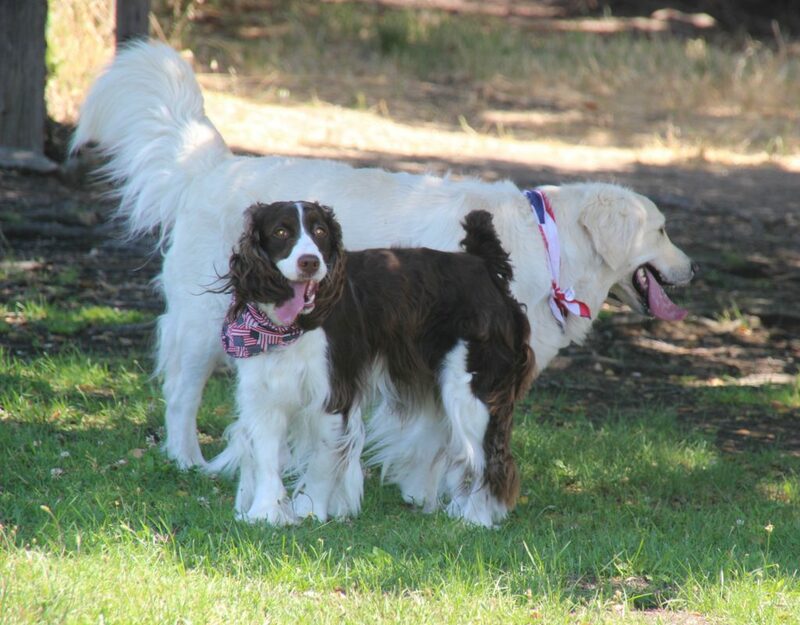 When Harriet was three, I brought home an 11 week old English Springer Spaniel who I named “Dottie”. Dottie was from a Naturally Rearing Breeder and was weaned to raw. both these dogs are incredibly healthy. 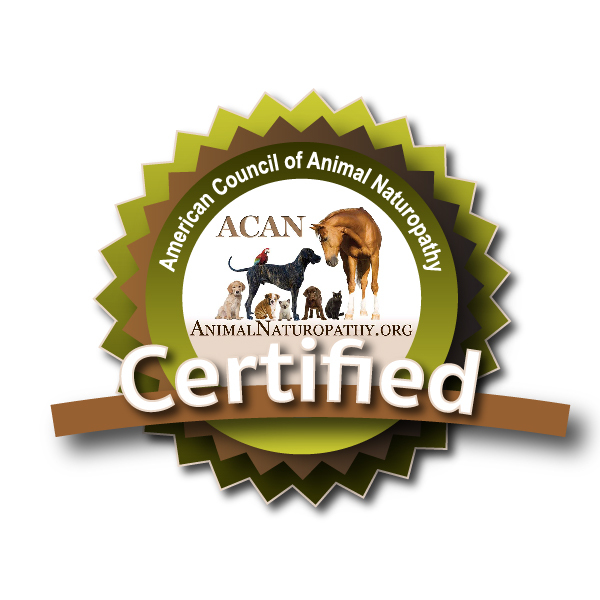 I was determined to learn as much as I could and enrolled with The American Council of Animal Naturopathy in their small animal program. In December of 2018, I became a Certified Small Animal Naturopath. Now I have the pleasure of working with owners to educate them on proper feeding, lifestyle for their pets, and a little training thrown in for good measure. I am by no means done learning. I am always studying, reading and furthering my knowledge of raw feeding and Naturopathy. So please join me as we learn together. Copyright © 2019 Joyfully Healthy Pets All Rights Reserved.